Gov. 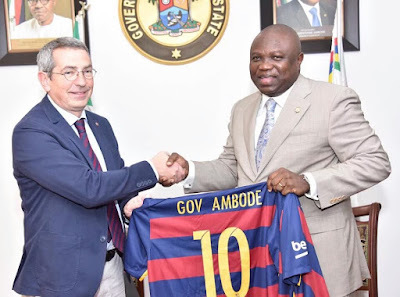 Akinwunmi Ambode of Lagos State on Monday welcomed the decision of Barcelona FC of Spain to establish its first football academy in Africa in the state. Ambode, who spoke at the Lagos House, Alausa while receiving the senior management staff of the football club, said he was delighted with the development. He said it was in synchronised with his administration’s philosophy for sports development. Ambode also pledged maximum support of the government in ensuring the successful take off of the project. thing of joy coming at a time when the government was still basking in the euphoria of the successful hosting of an international marathon. “This visit by FC Barcelona is coming at a point where I believe strongly that we have nothing else to say than to say we are committed to this partnership because we know it will give us the first FCBEscola in Africa. “I was made to understand that this is the first of its kind in Africa and so, Lagos is priding itself as a major receptor of the next academy to be established in Africa,’’ he said. The governor, who restated the importance of sports to integration and development, said that sports were the future of service to create a platform for youth employment and youth engagement in Lagos. Ambode also pledged the full support of the government to the Nigeria Football Federation (NFF) in hosting the first ever Beach Soccer African Nations Cup in Lagos between Dec. 10 and 23, 2016. Earlier, Pau Vilanovai Vila-Abadal, Director of Business and Member of FC Barcelona Management Board, who led the team, thanked Ambode for the support given to them so far in actualising the project. He said FC Barcelona decided to establish its Academy in Lagos due to the impressive population of the state, and the opportunity to share the philosophy of the team with the state. On his part, Oscar Grau, Worldwide Director of Barcelona Academy, said it was indeed a big honour for the club to establish its academy in Lagos as many of the big names in the team started from such academy. He said players like Messi, Iniesta, Sergio Busquet, Pique, among others, all started from such an academy. The club has a unique methodology of instilling great virtues in footballers apart from football skills and education. He added that through the academy the club also aimed to raise excellent players for Nigeria and that the core values of the club included efforts, team work, humility and respect. Also speaking, NFF President, Amaju Pinnick congratulated Ambode over the hosting of the Lagos International Marathon, saying it was one of the most successful tournaments in the world. 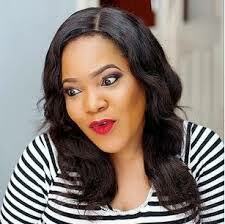 He added that Lagos, under Ambode and his predecessors, had always been a major destination for sports. Pinnick said that the Confederation of African Football (CAF) had just approved the hosting of the first ever Beach Soccer African Nations Cup in Lagos in December. “The tournament is a major qualifier for the World Cup and eight best beach soccer teams in Africa will converge on Lagos for the tournament,’’ Pinnick said.